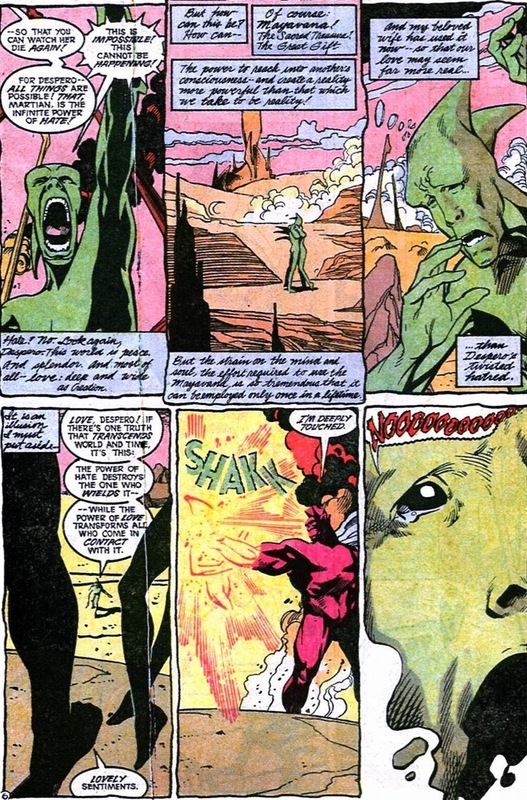 After his assist from Aquaman last article, Martian Manhunter has to brawl his way to victory by himself today. 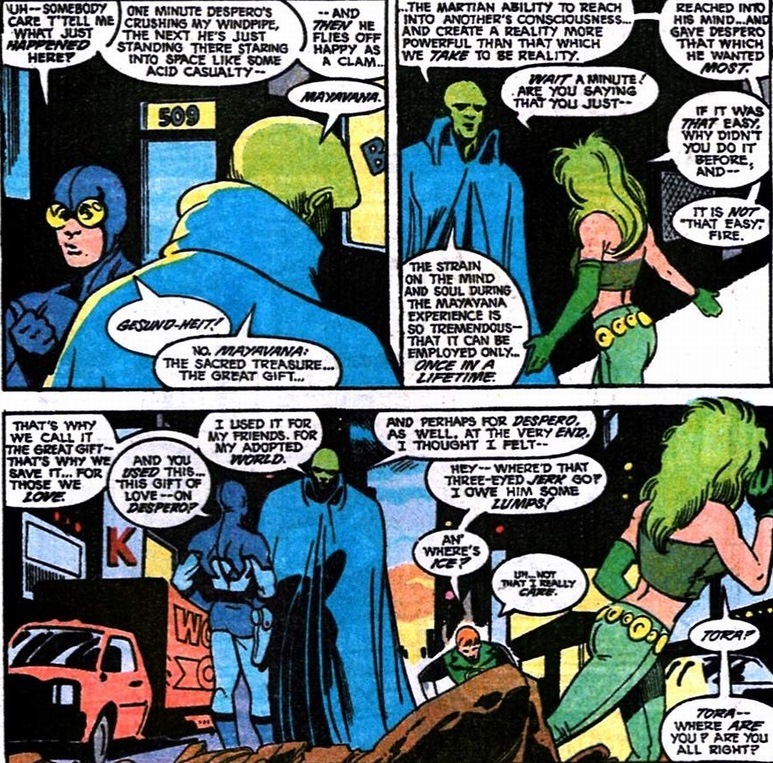 The two aliens who both wear clothing that makes any lady superhero costume look Amish, have far more differences than their appearances give off. 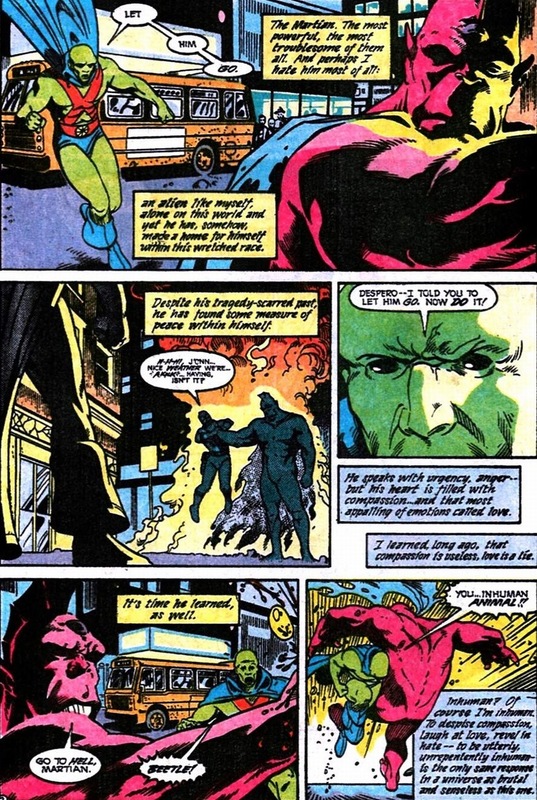 Martian Manhunter, the tragic final survivor of his ruined planet, fights valiantly to protect his adopted home from suffering the same fate. 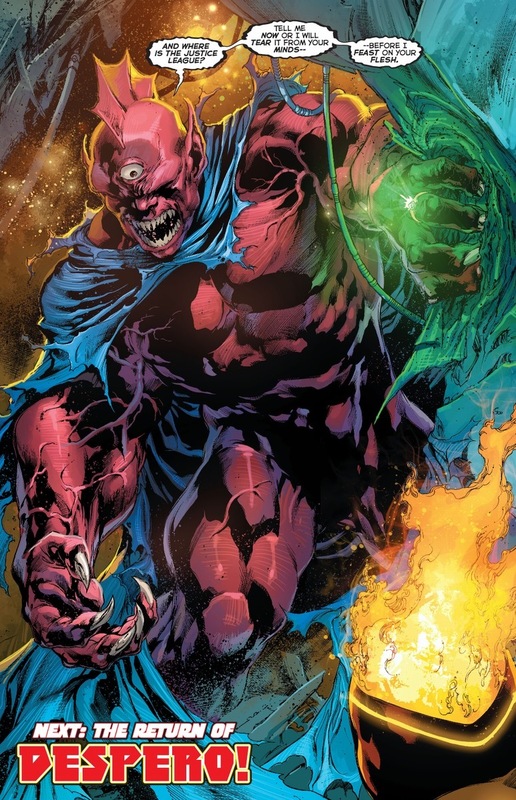 Despero, the naked tyrant from the well-populated planet Kalanor, only wishes to seek vengeance on and destroy that pesky Justice League. 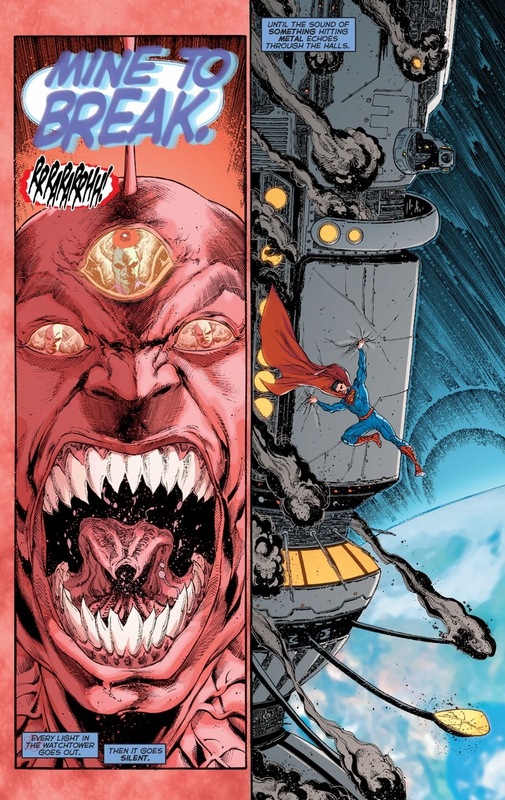 Commence the punching. So why Gypsy, you ask? 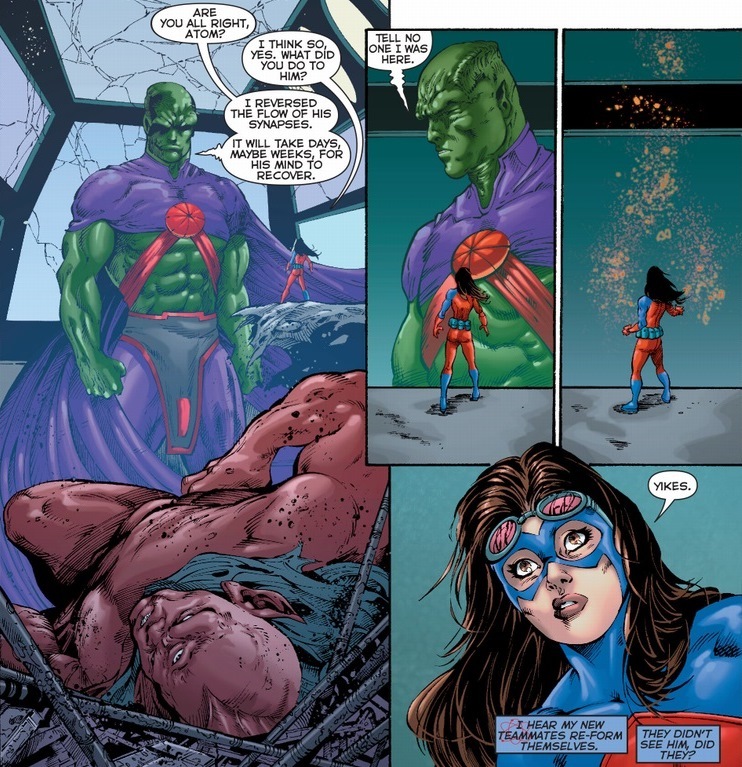 She helped take down Despero during his “mad god” phase last article. 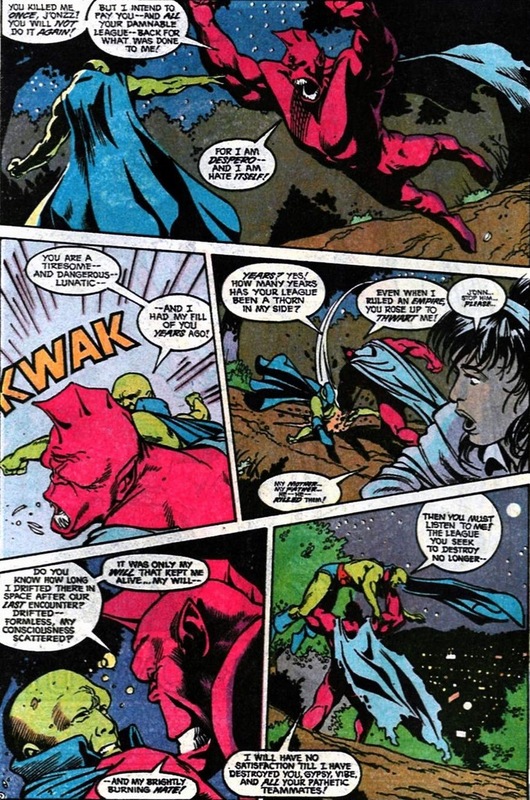 The mid ’80s to early ’90s were a strange time for comics, where diversity meant loading up on gimmicky characters with slightly racist names. Though we should still at least half-heartedly applaud the efforts of the publishers. 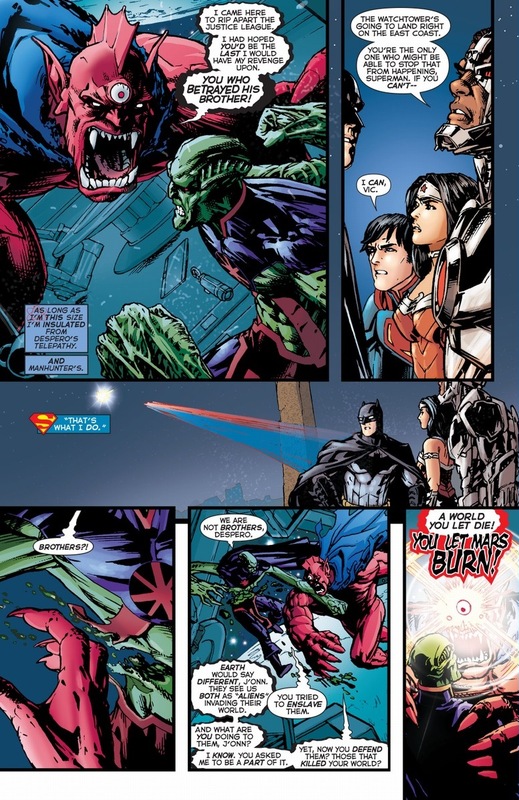 Diversity before then meant adding a Martian to a team of white dudes. 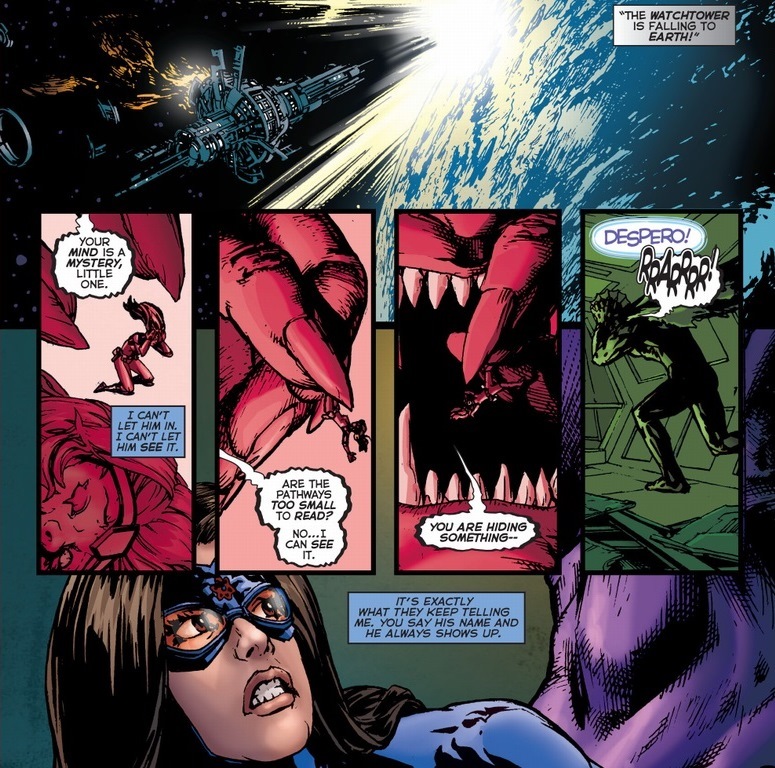 In the fight we’re currently seeing, we finally get some of that good ol’ telepathy clashing. 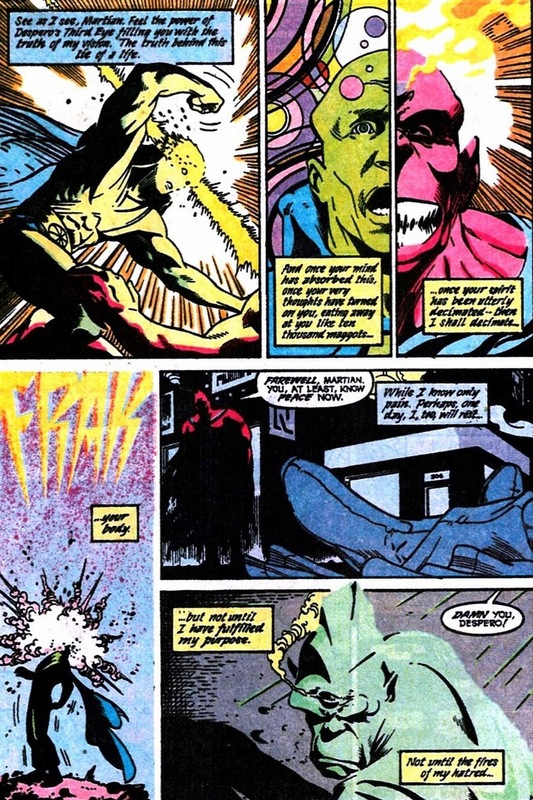 Psychic fights translate well into comics, where the visuals can highlight the subconscious better than other forms of literature. 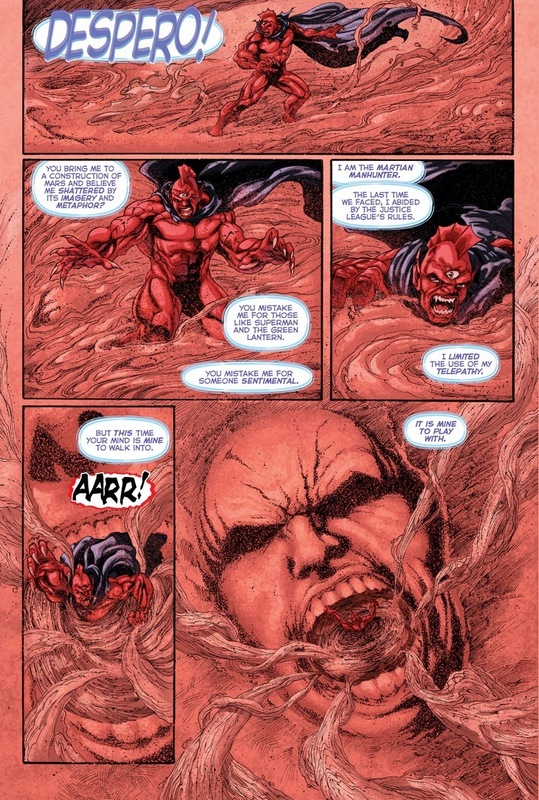 Not to unashamedly plug my own stuff, but remember this fight between Professor X and Emma Frost (and Cyclops)? Brain battles tend to get both weird and emotionally painful. 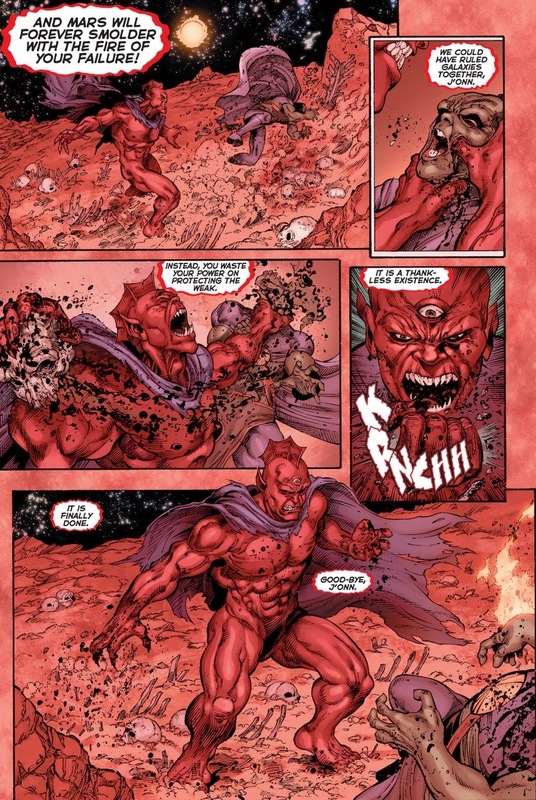 I always thought Despero needed an accessory. If not underwear, a ring would be a close second. 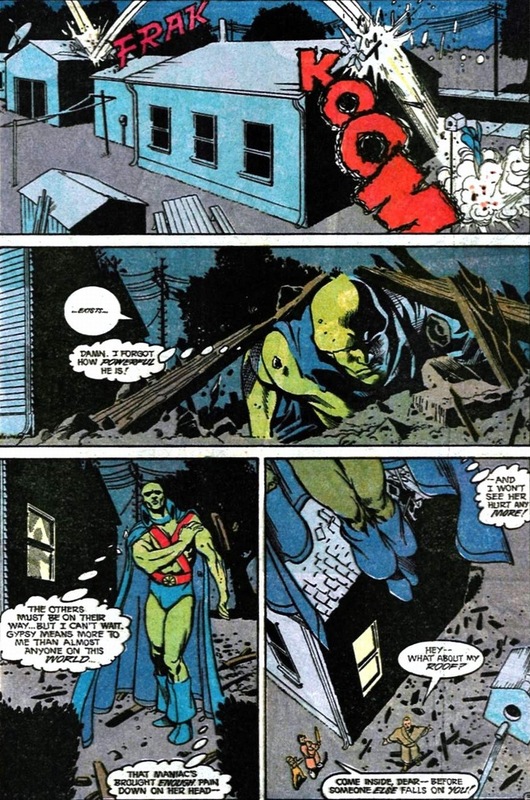 Look, Despero has no idea what he’s dealing with — Martian Manhunter has gone full badass these past few years. 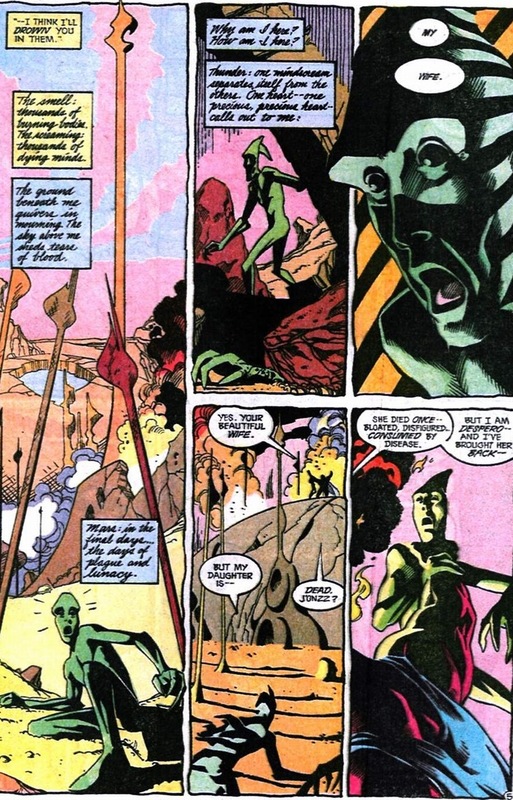 Remember that telepathy fight from the beginning of the article? 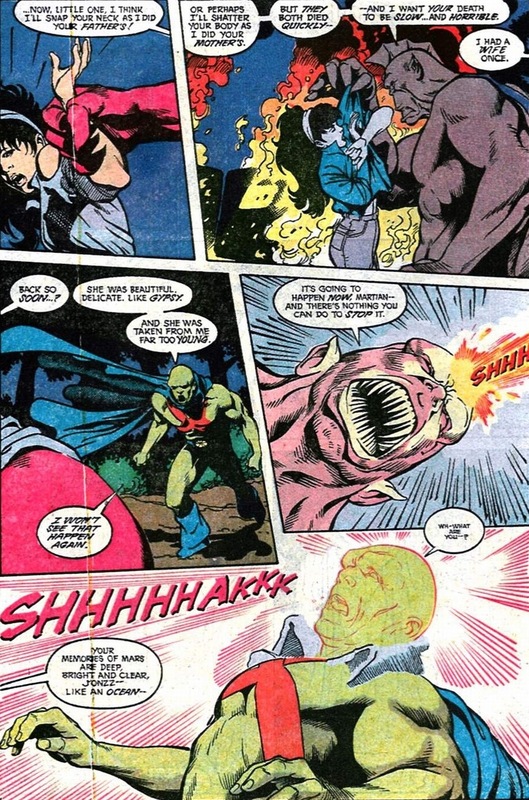 Turns out like Superman, who has to hold back his attacks to avoid turning every single bad guy he encounters into a pile of supervillain goo, Martian Manhunter does the same thing with his mind powers. 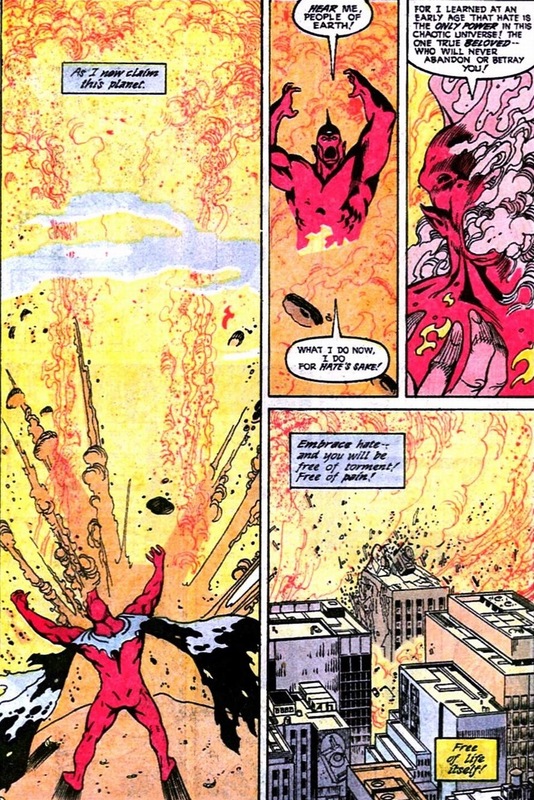 Despero never stood a chance. 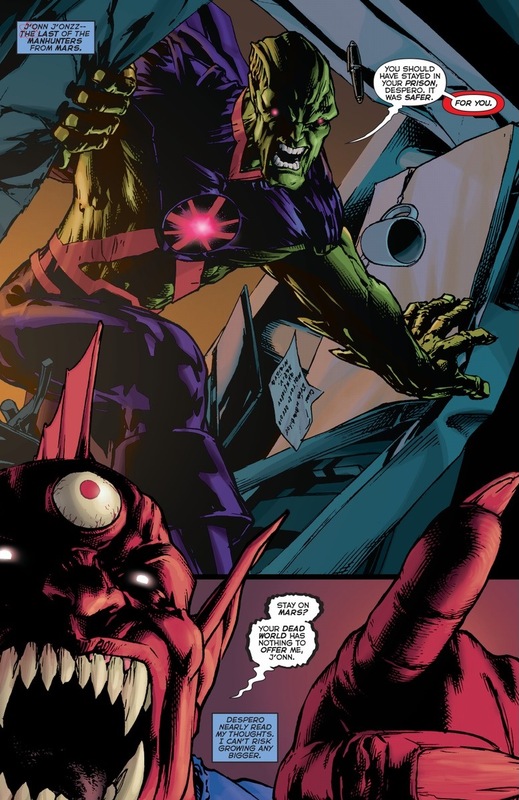 I liked the sentimental Martian Manhunter of the past, but I don’t mind the new frightening Martian Manhunter. 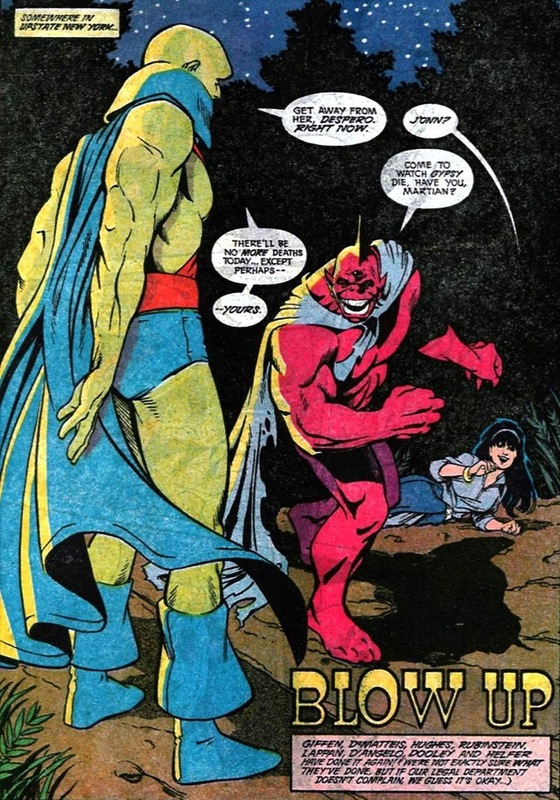 While I’d love to see a rematch sometime soon, I’ll settle for Despero to get some pants. Make it a mini-series.